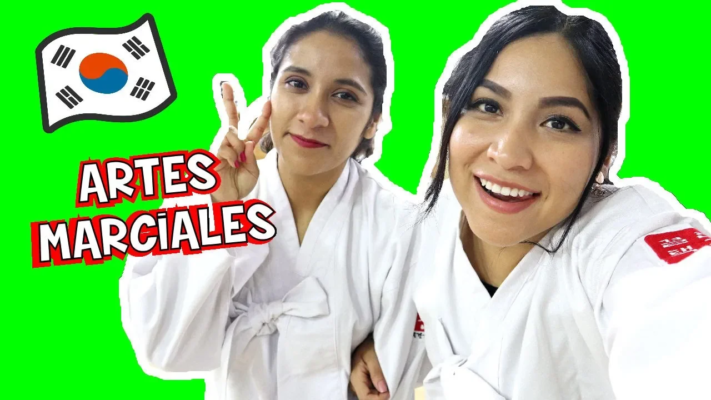 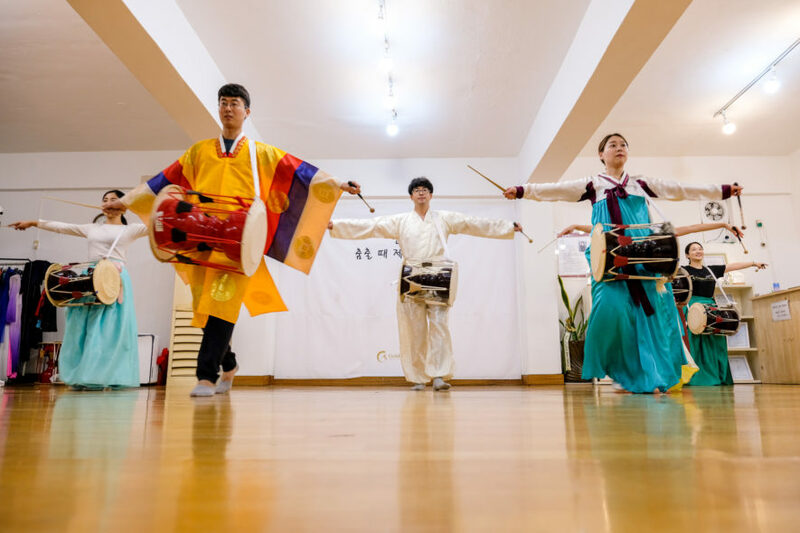 Learn traditional Korean dance seen in K-pop or K-Drama and turn it into a new performance of your own. 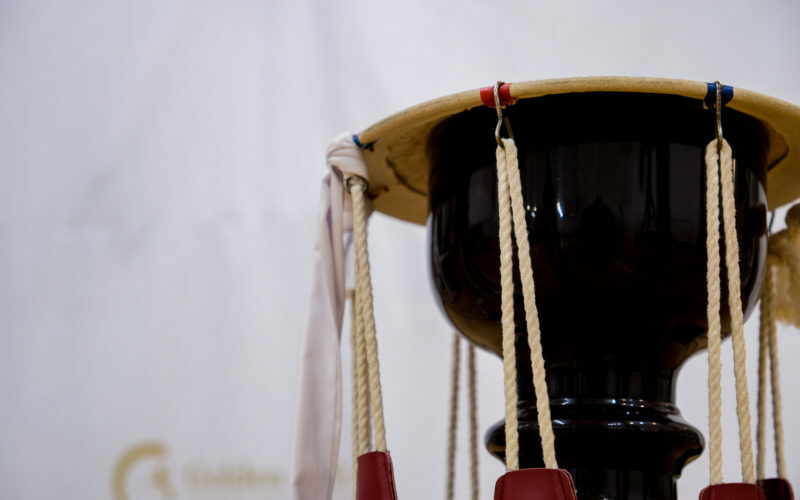 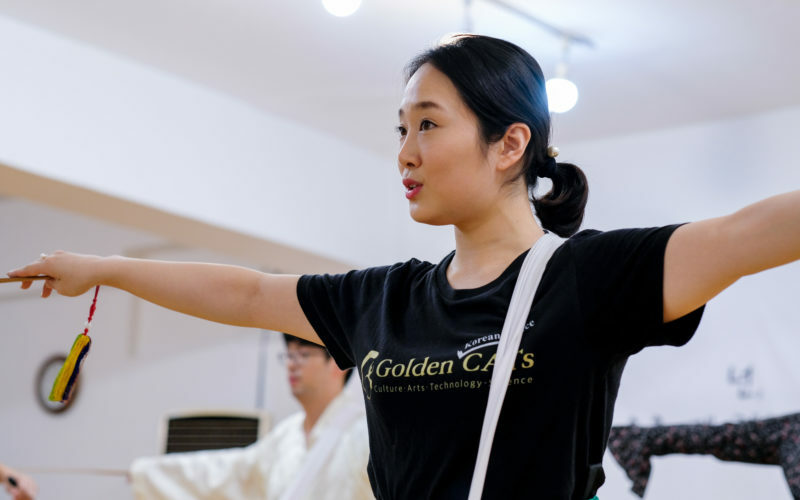 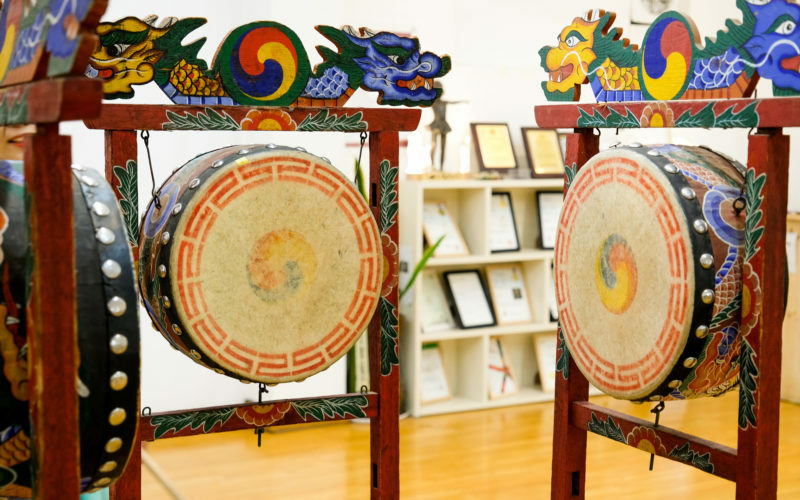 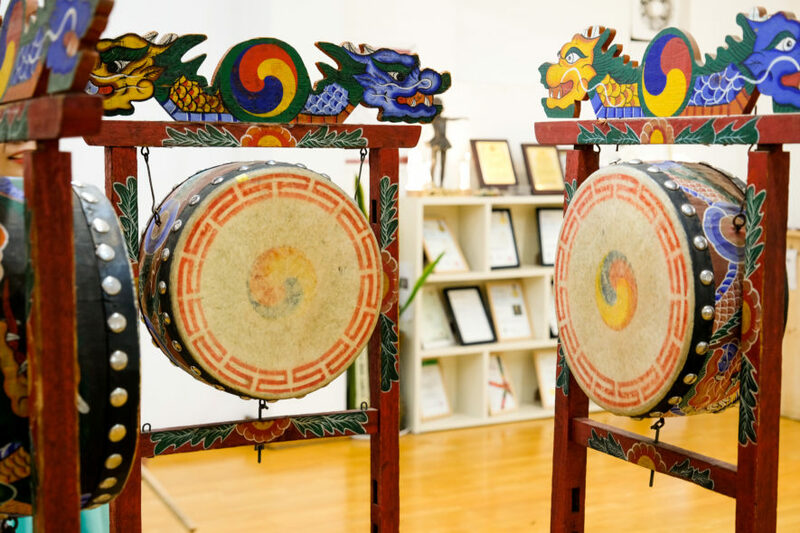 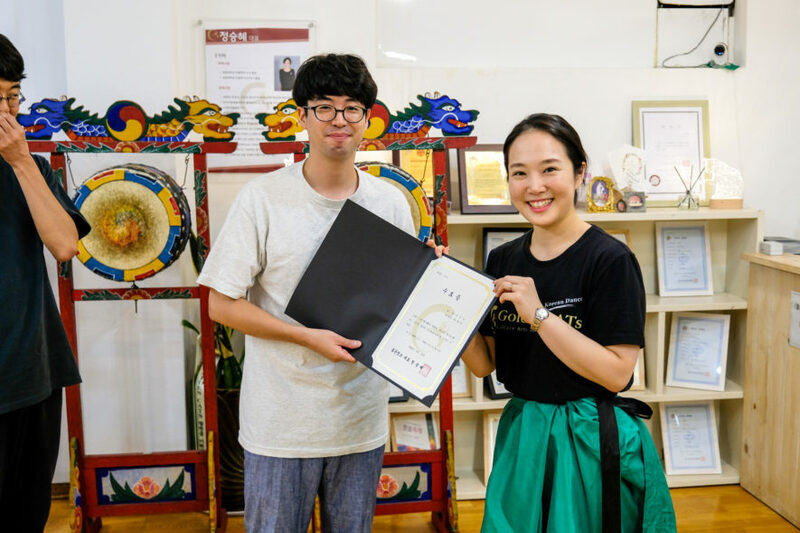 The Golden Cats Studio offers customized Korean dance classes and detailed personal training. 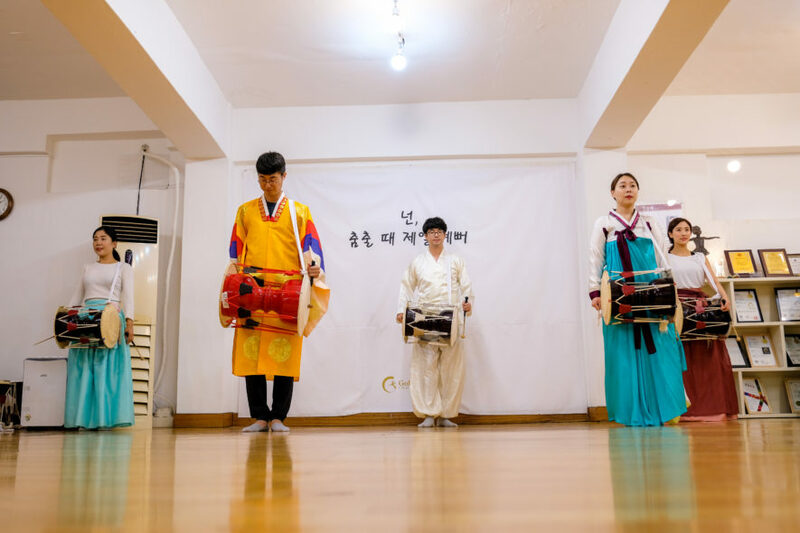 After learning the dance, you can try performing it while wearing Korean dance costumes prepared by Golden Cats. 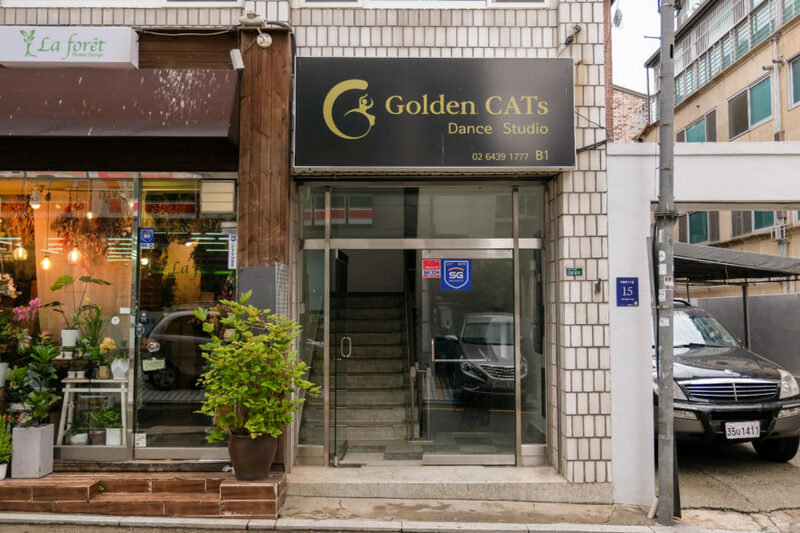 As a bonus, Golden Cats will film your performance and give the video to you as a gift. 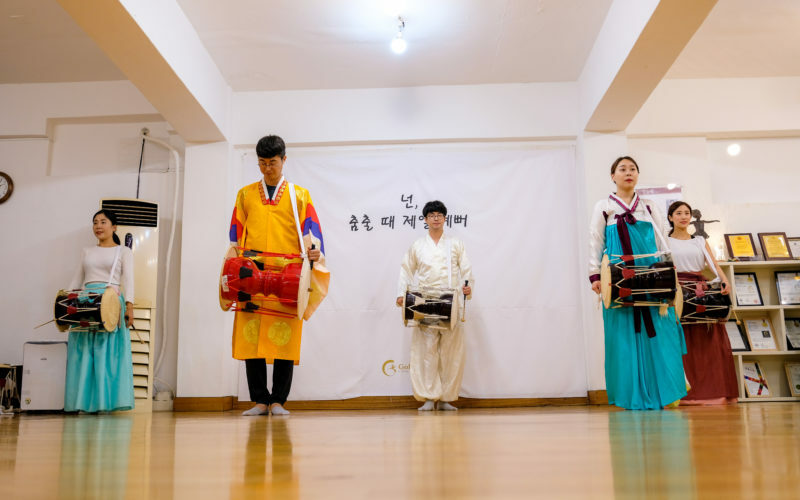 At the end there will be a Korean dance certificate ceremony. 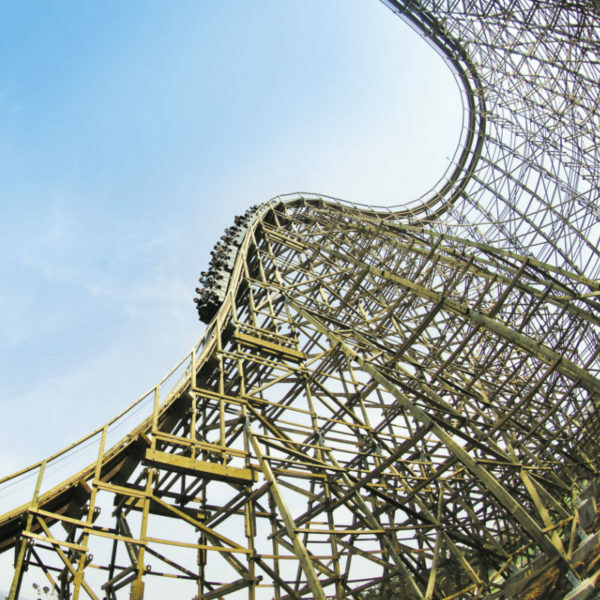 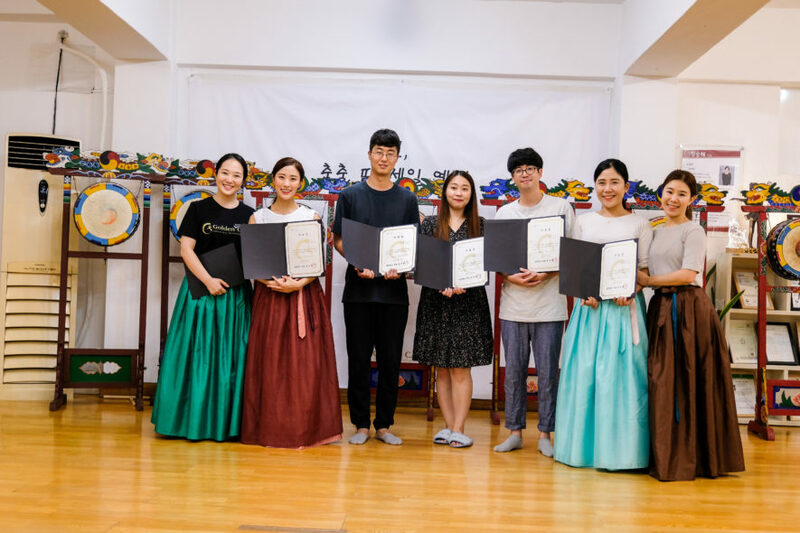 Earn a certificate at the award ceremony and cherish it as a special memory of your lesson. 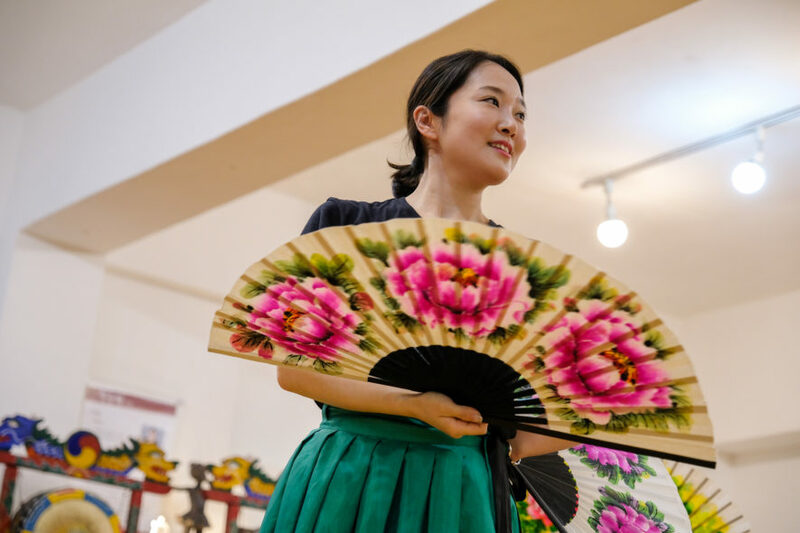 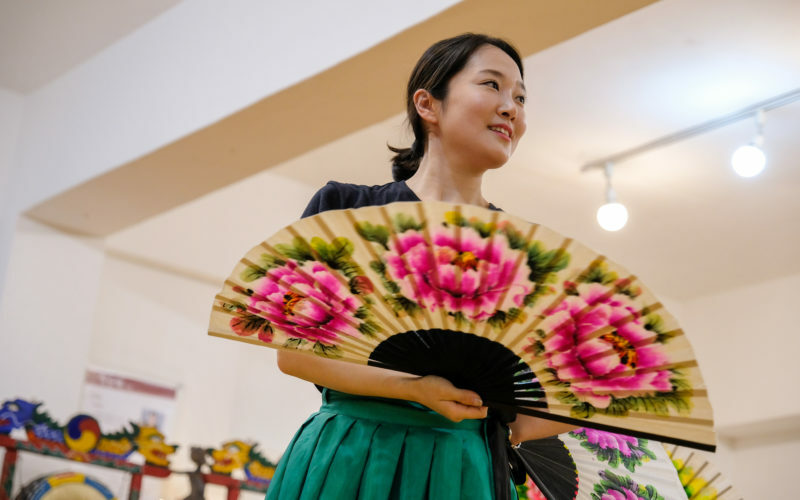 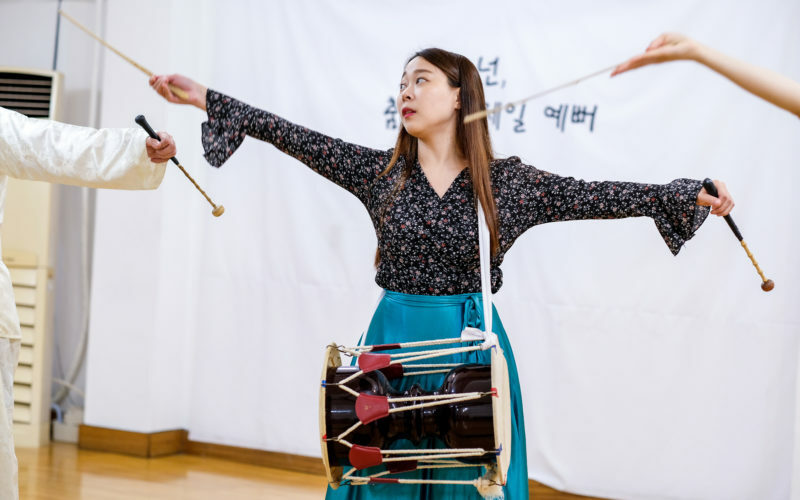 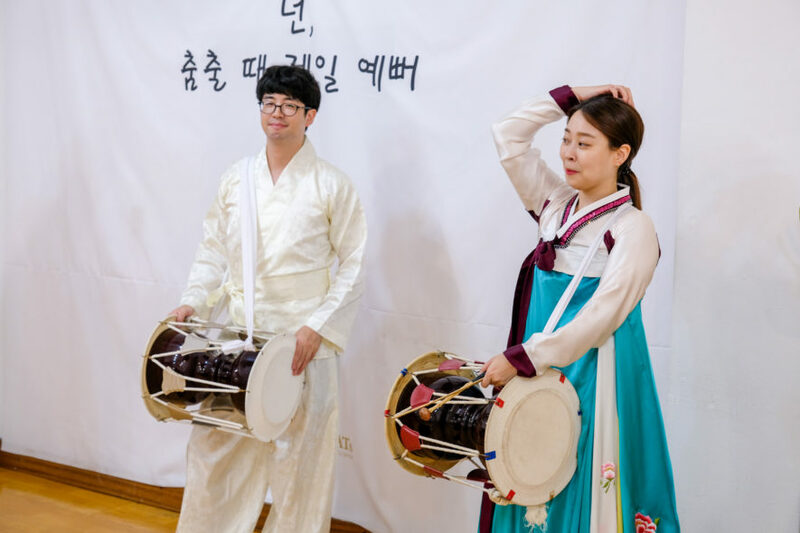 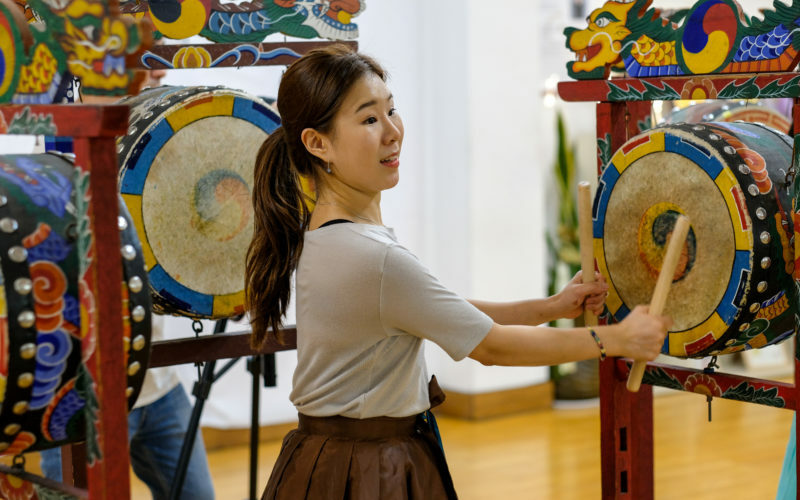 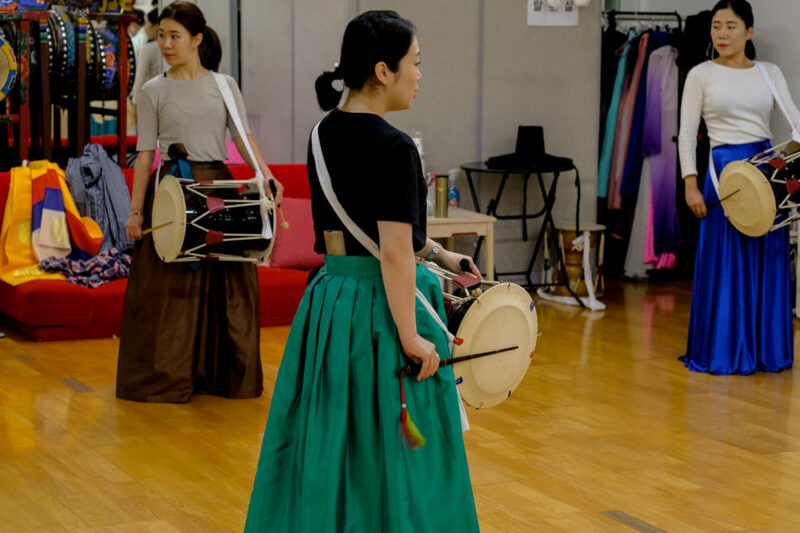 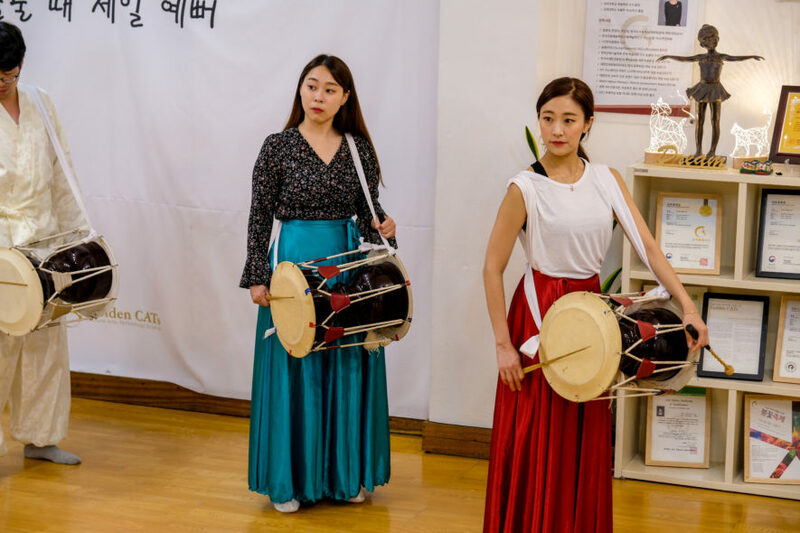 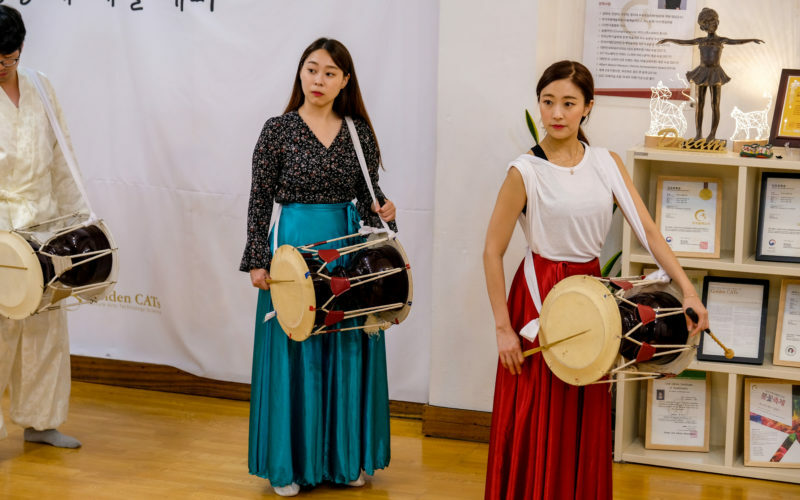 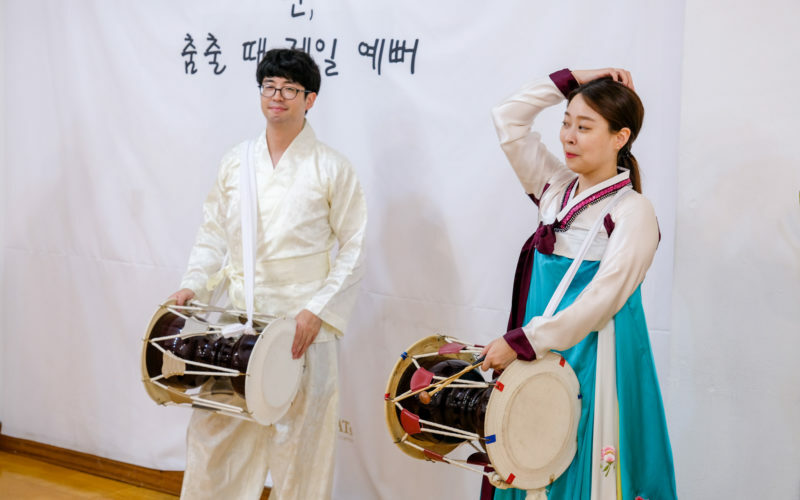 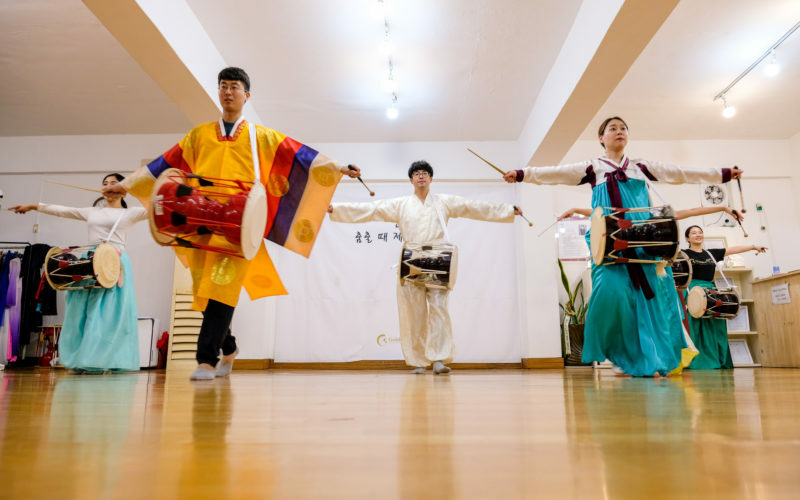 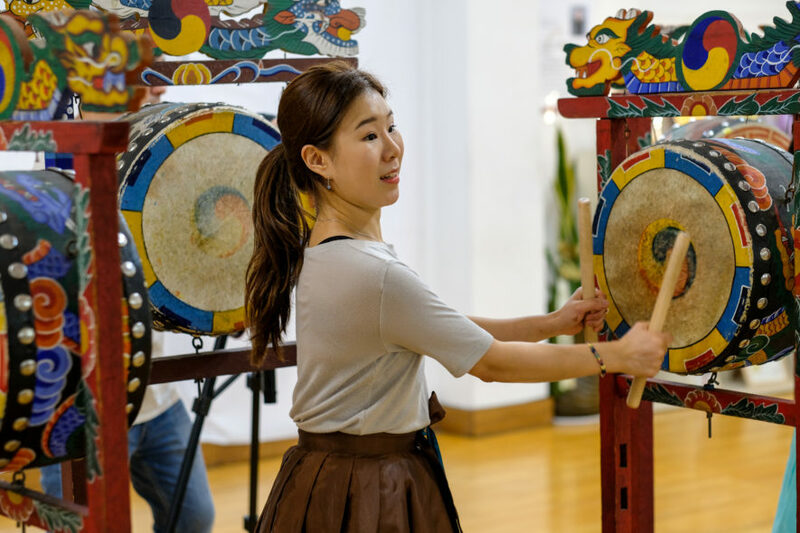 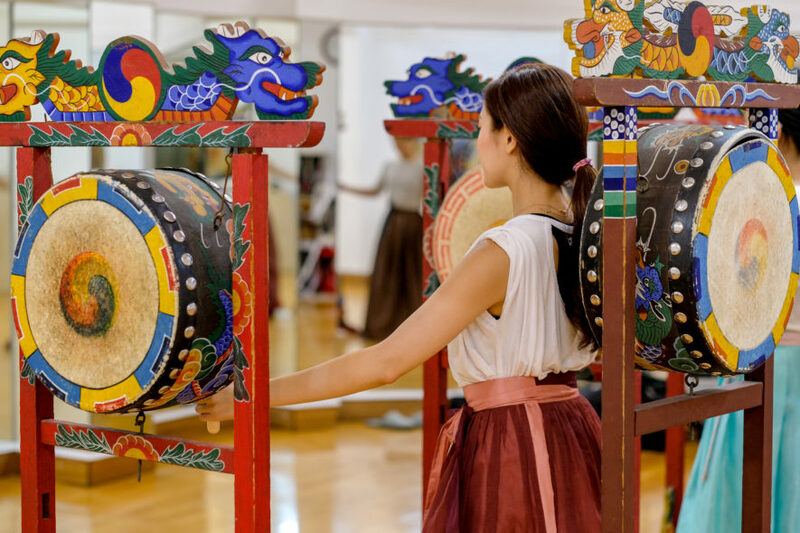 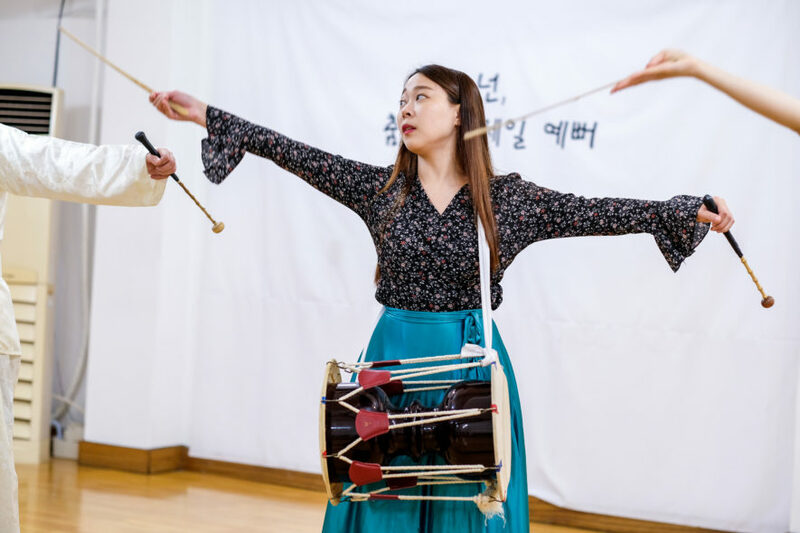 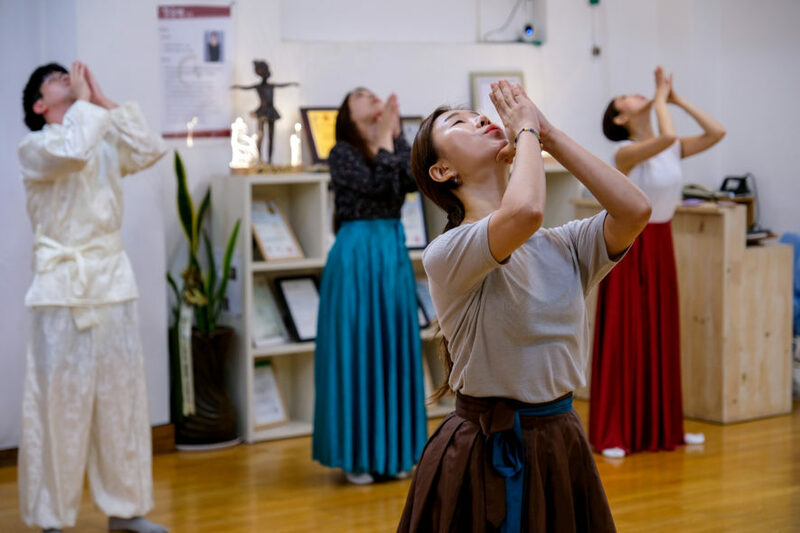 Enjoy a traditional Korean Dance Class! 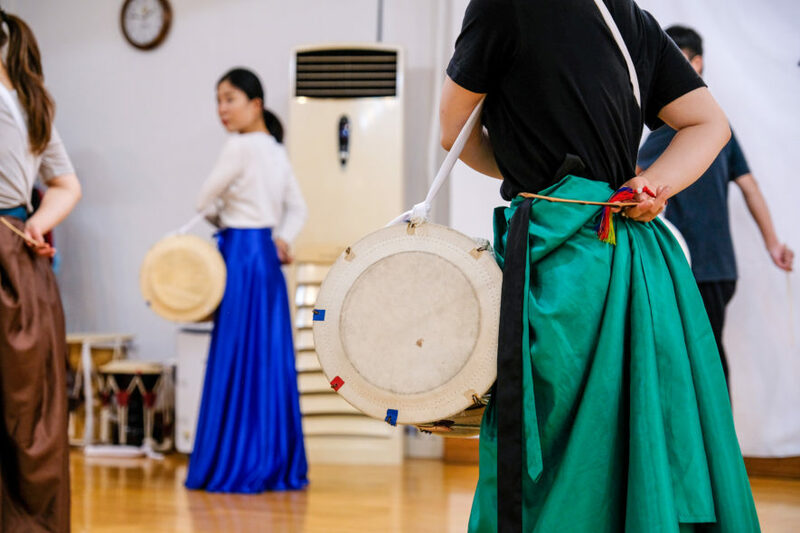 Learn a traditional Korean dance! 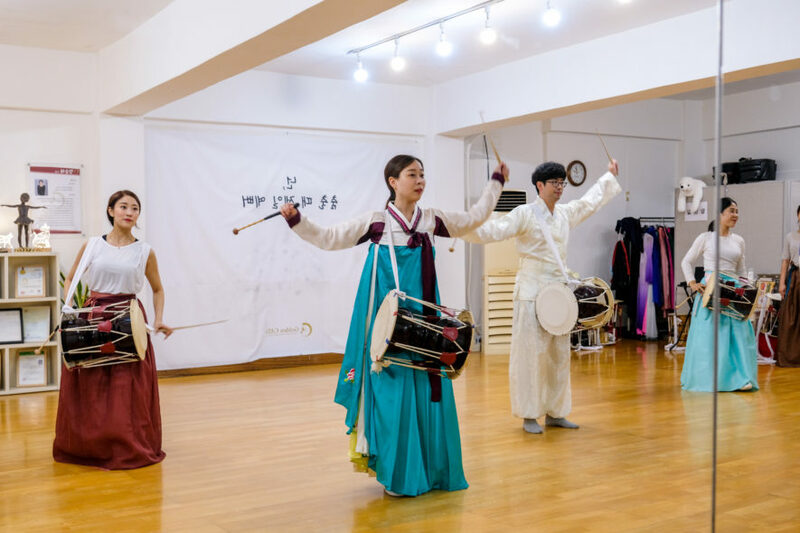 As the class offers customized training to meet the level of every individual, anyone can easily enjoy learning dance. 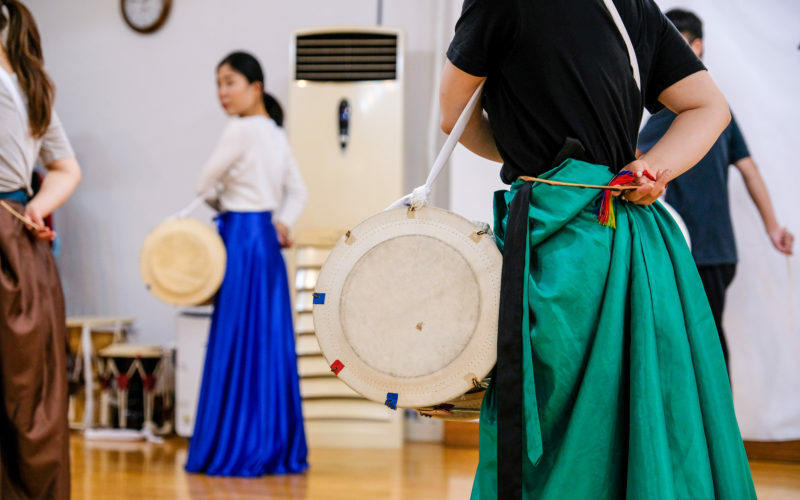 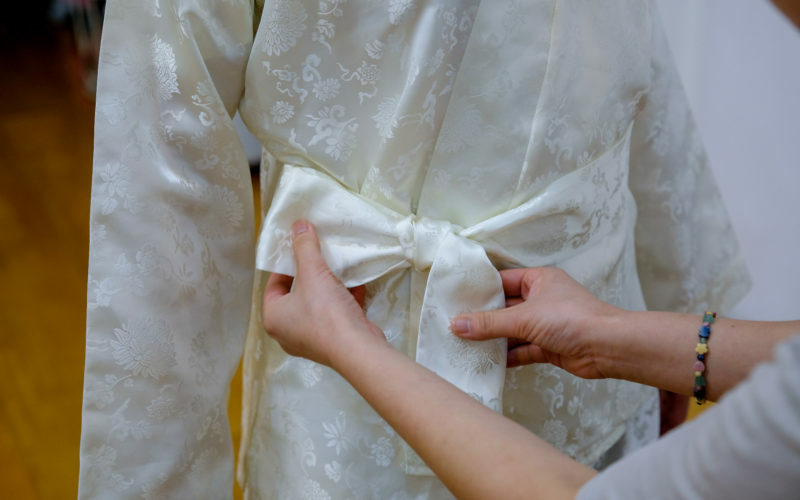 A chance to wear a traditional Korean dance costume. 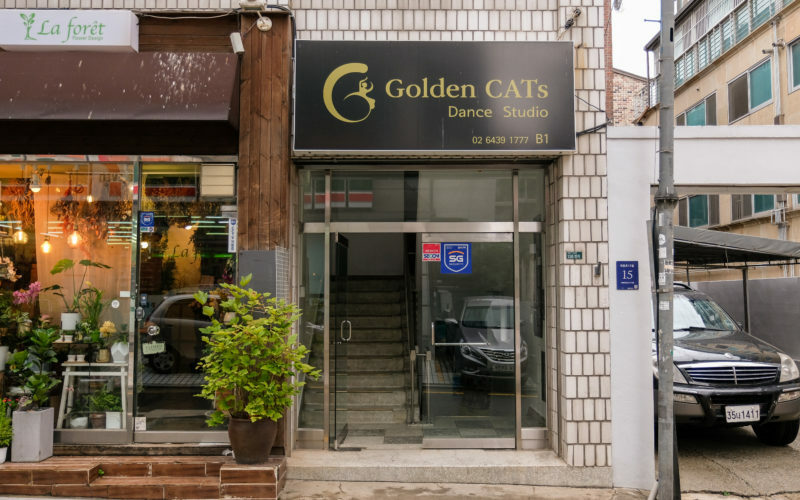 Golden Cats is a hobby dance professional training company that helps people easily experience Korean dance. 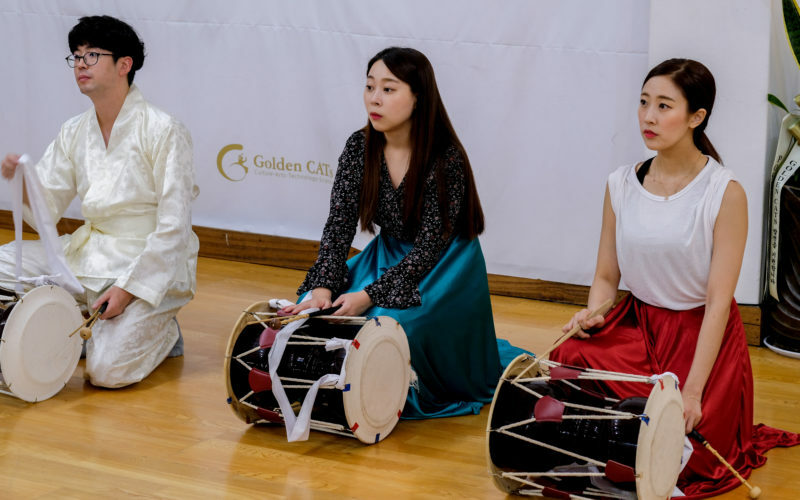 Golden Cats has a variety of content that has been researched and developed over time to make learning easy and enjoyable for everyone, regardless of having two left feet or no sense of rhythm. 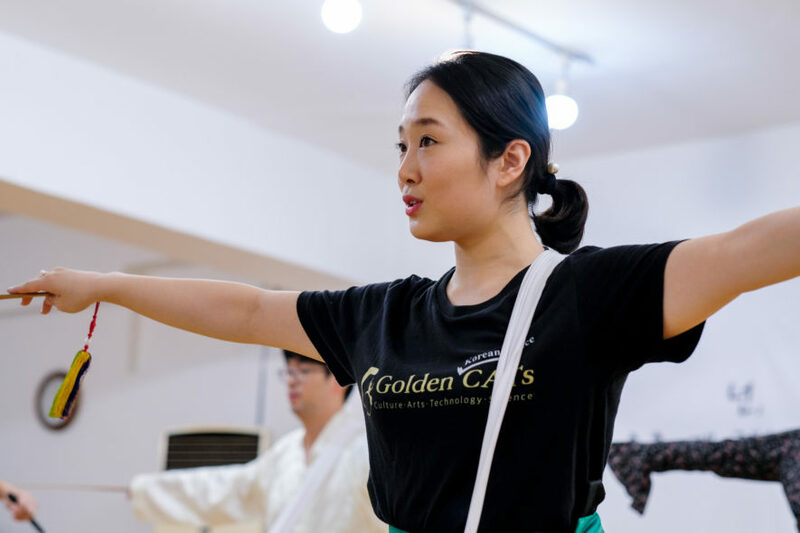 Have fun learning with passion by participating in the traditional Korean dance class of Golden Cats. 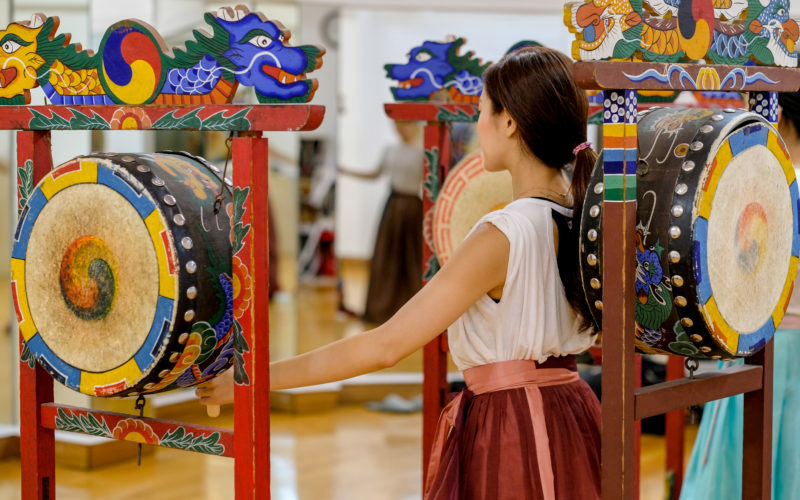 Practice and learn the foot/hand motions, breathing and the understanding of Korean emotions & traditions. 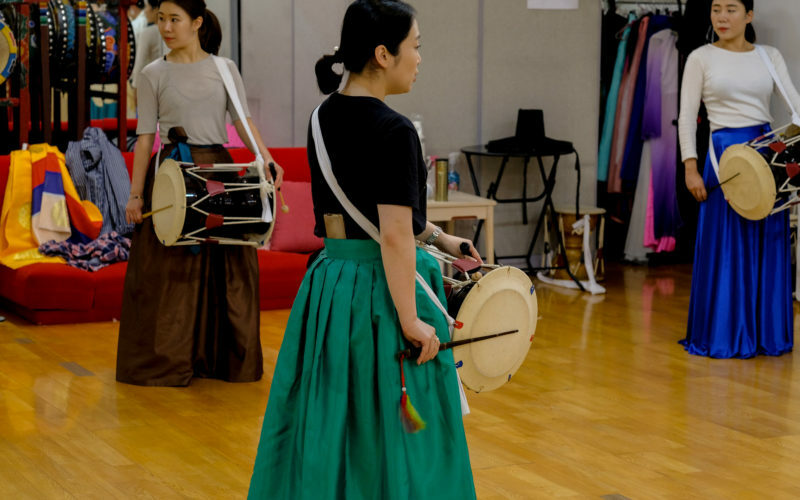 Practicing the Korean dance selected by starting with basic movements. 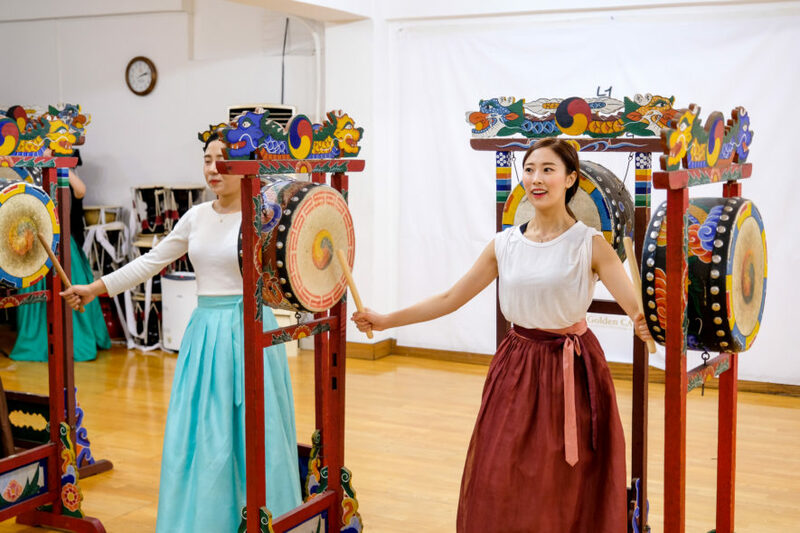 Experiencing the overall flow of the selected Korean dance. 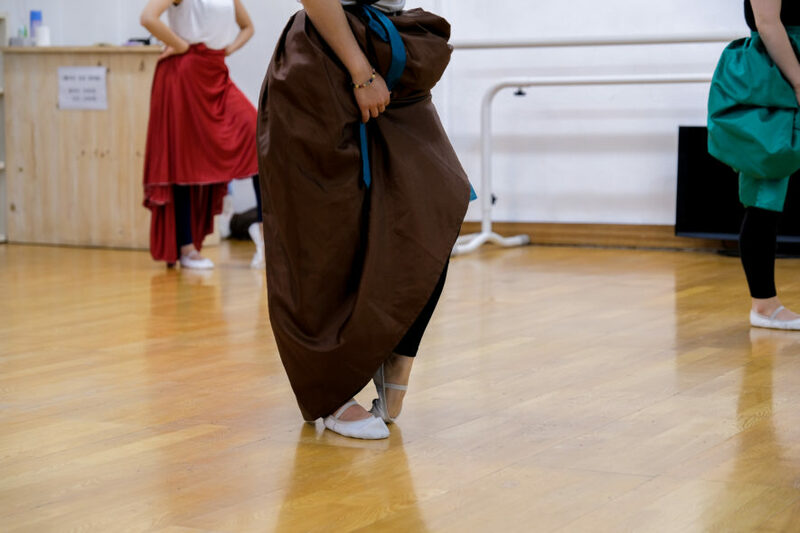 * You can choose your class date and time, but it may be canceled due to the partner's schedule. 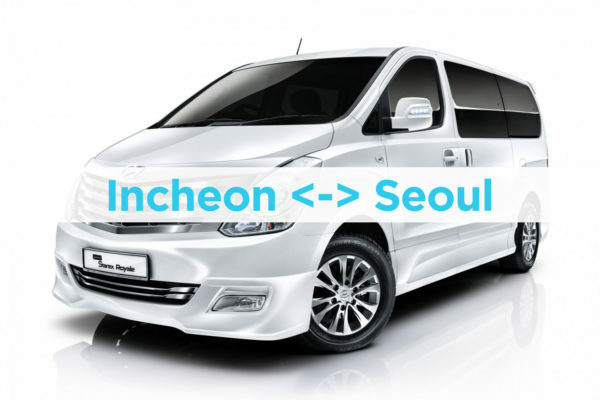 We will make sure to inform you in this case! 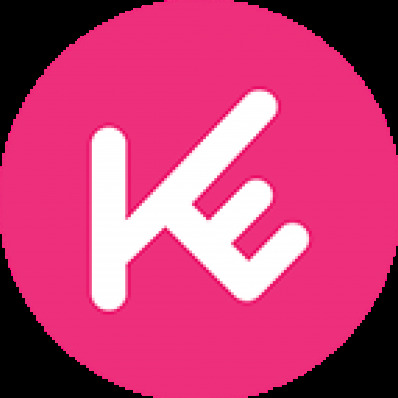 Thank you so much for your feedback and recommendations. 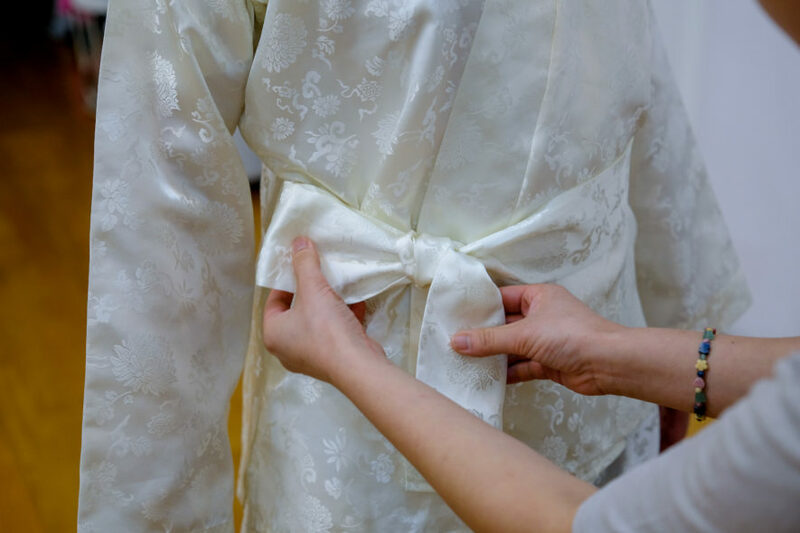 We are delighted to note that you enjoyed your experience! 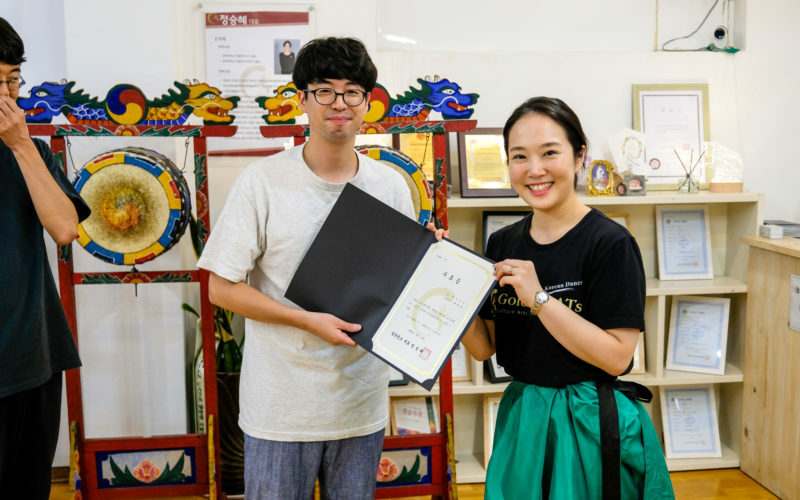 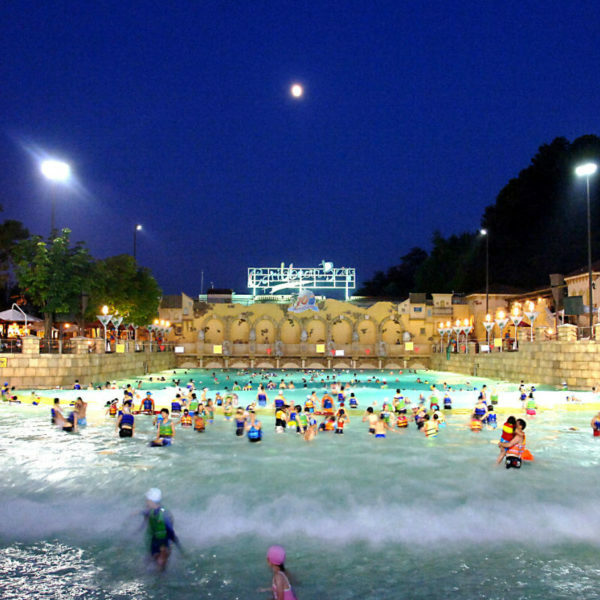 It will be a pleasure to visit us again in future.